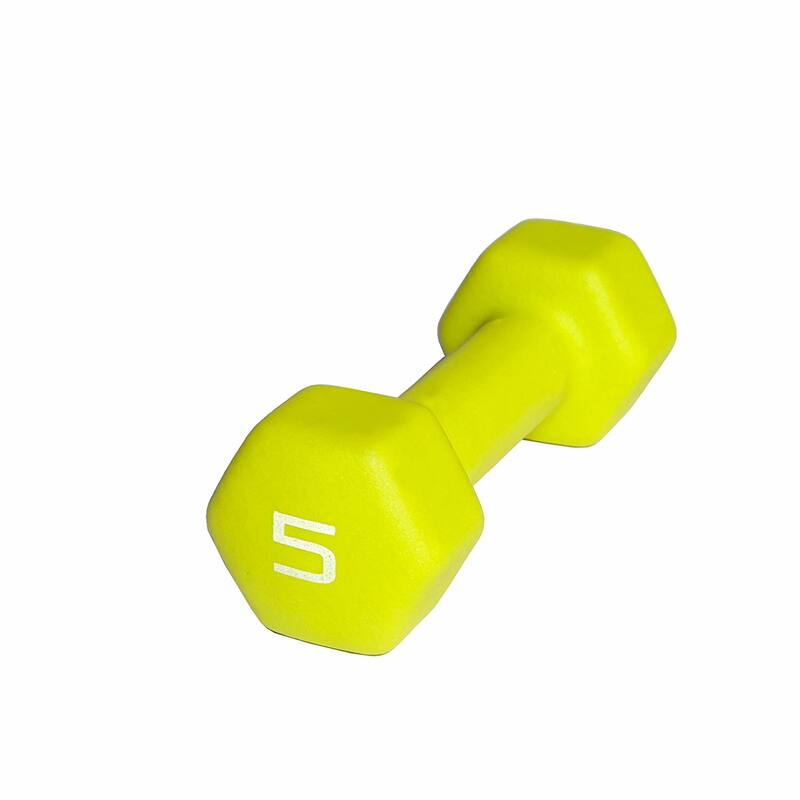 After trying out countless 5 pound dumbbell sets I have come up with a list of the five best ones. Read full review now! Crown Sporting Goods 5 pound dumbbells are the best I have tried. The weight is accurate. They have a neoprene coating making them very grippy, they won’t slip even if you have very sweaty hands. This neoprene coating doesn’t irritate your hands when using the dumbbells for a long period of time. 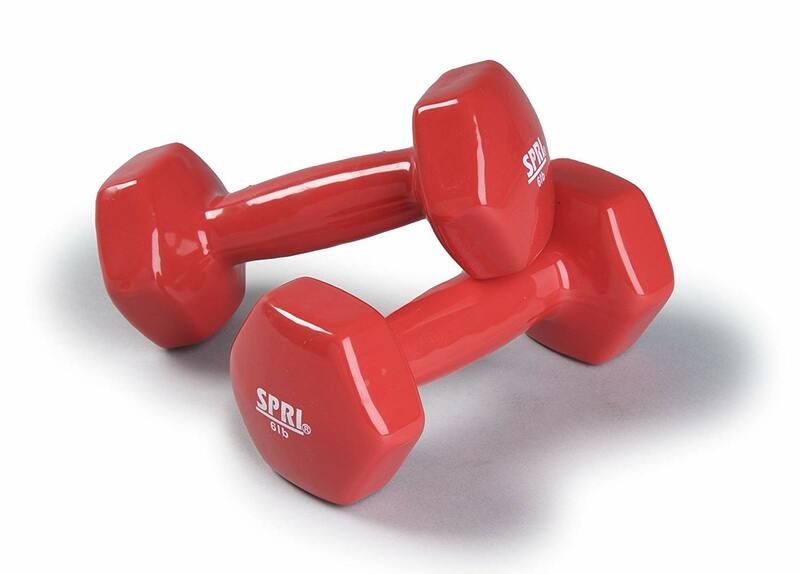 The surface is smooth and dumbbells are very comfortable to hold in hands. The grip isn’t big so they are comfortable to hold even if you have small hands, while as a gentleman with bigger hands I personally didn’t find them to be too small to be uncomfortable either. The dumbbells do smell a bit toxic initially but the smell goes away after a couple days. They seem to be very durable and should last a long time even if you abuse them. The color looks very beautiful in life making them aesthetically pleasing to my eyes. 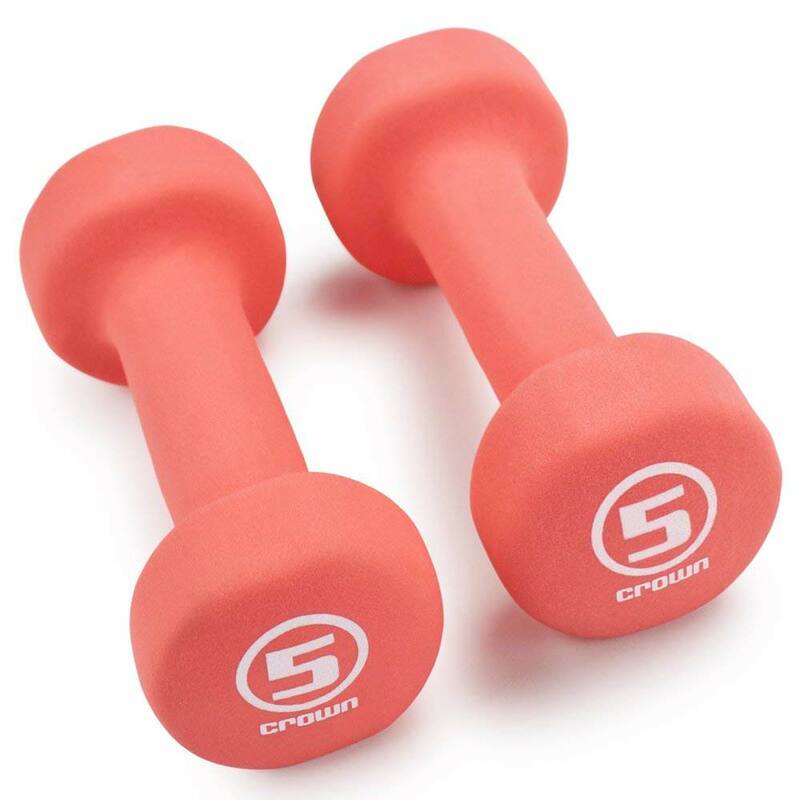 Overall Crown Sporting Goods 5lb dumbbells are sturdy and very comfortable to use, that’s why they are the best dumbbells of this weight I have tried. 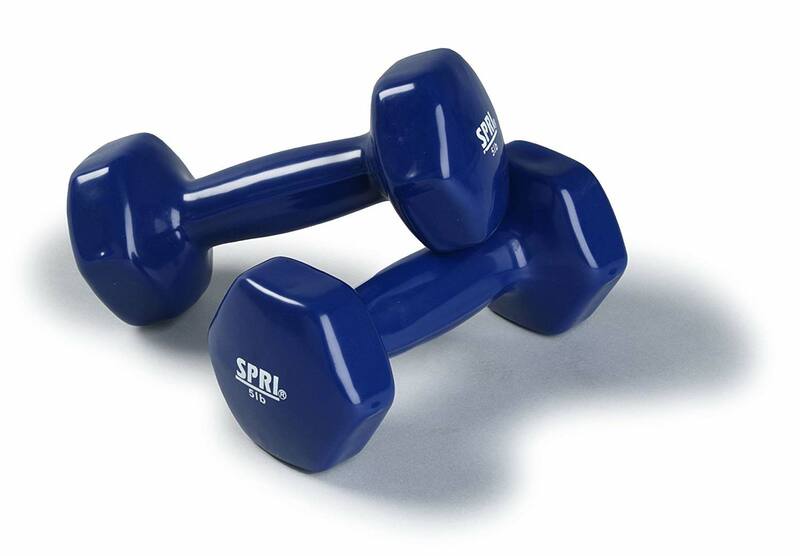 SPRI Deluxe Vinyl 5lb Dumbbells are second best I tried. The weight is accurate. These dumbbells have vinyl coating which can get a bit slippery if you have sweaty hands. They also have a larger grip which might be uncomfortable if you have smaller hands, but if that’s the case then looking from the positive side you will at least get an extra workout in your forearms while trying harder to hold them (which isn’t necessary what you might want). In my hands that aren’t small they felt good. AmazonBasics Neoprene 5 pound Dumbbells are third best I tried. The weight is quite accurate but some sets might be inaccurate, if you order those I would suggest weighing them after you receive them and if they weight isn’t accurate you can ask for refund. They are very comfortable to hold and the grip just seems to be of right size. They have neoprene coating so the grip is good even with sweaty hands, however it seems it’s toxic since it can eat through wood, so you have to be careful where you place them for longer periods of time. The dumbbells are of decent quality but not the highest. If you don’t abuse them they will last a long time, but if you tend to drop dumbbells or abuse them in other ways I would suggest not getting those. 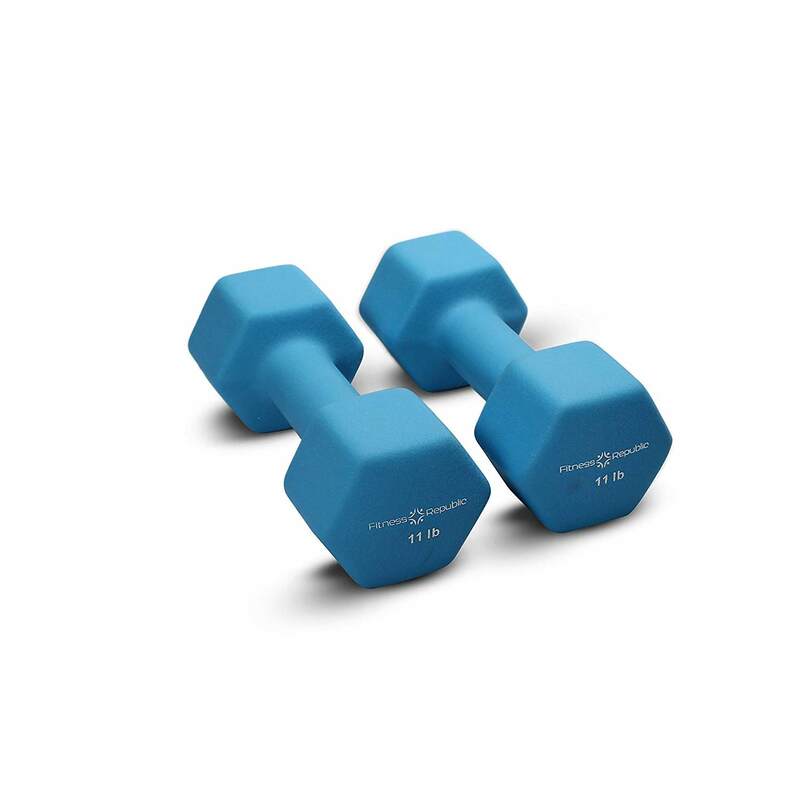 The AmazonBasics 5lb dumbbells are hexagonal shape which prevents them from rolling away which is convenient during workouts. 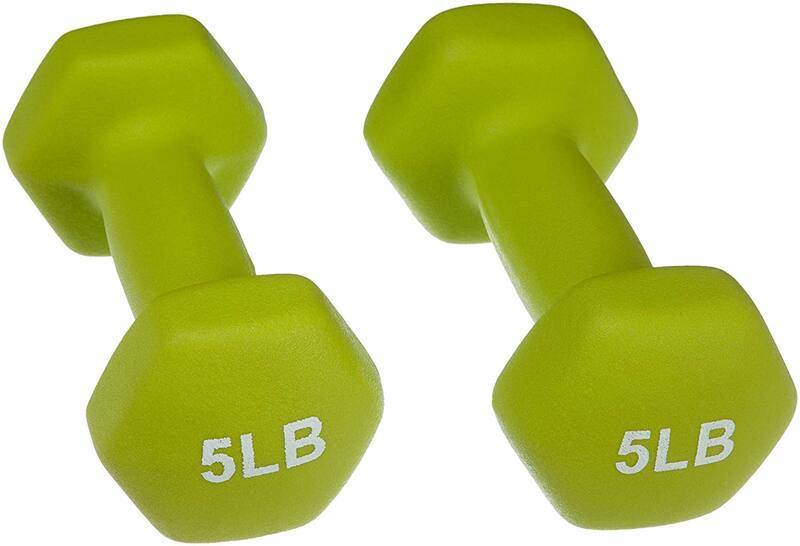 Black Mountain Products Vinyl 5 pound Dumbbells are the fourth best I tried. They are high quality and durable but the vinyl material is very slippery with sweaty hands. Other than that they are decently grippy and quite comfortable to hold in the hand. The dumbbells are hexagonal shape which stops then from rolling away during workouts. The weight is accurate. 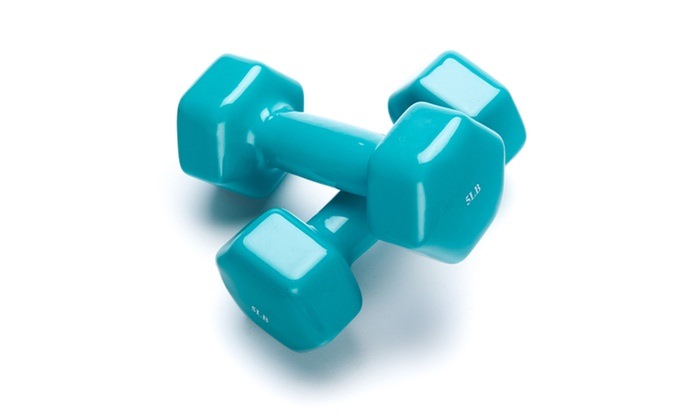 They don’t look good and the color is ugly but that doesn’t influence effectiveness of them unless good looking dumbbells improve your mood and make you workout harder. CAP Barbell Neoprene Coated 5lb Dumbbell are third best I tried. They are sold individually so if you need two dumbbells you have to specifically order two. The handles are soft and comfortable to hold, the grip isn’t too big. Dumbbells are hex shape which doesn’t always do a good job of preventing them from rolling away, but in this case they do! The neoprene coating isn’t 100% smooth, you can feel bumps in your hands which makes you question the quality and longevity of this product. As most neoprene coated dumbbells these also smell a bit toxic first but the smell goes away in a couple days.